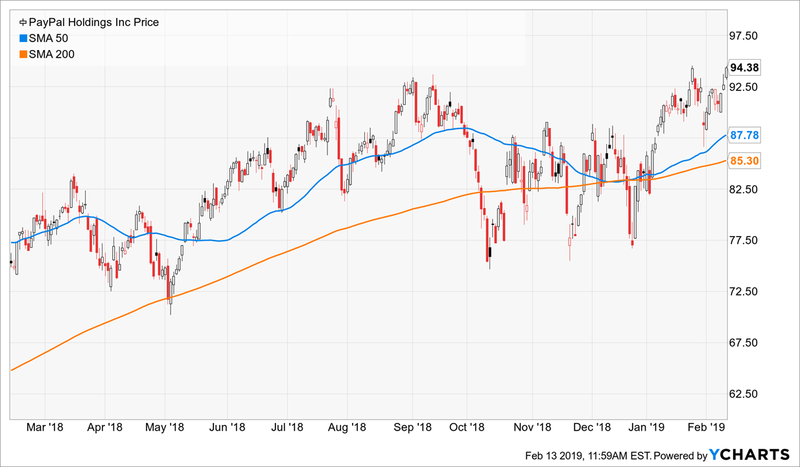 Market dynamics have been increasingly showing signs that are conducive to our momentum trading models, and we've been entering new momentum trading positions. Just as it's important to find a trading style that is conducive to your needs, it's also important to find sources of trading information that do the same. What are a few of your favorite sources for trading information? Our previous stock exchange asked the question: Are The Momentum Bulls High? We noted the market had climbed considerably higher this year, and some bulls were becoming increasingly confident. But we also reminded readers not to forget the importance of position sizing. Further, we highlighted new trades by our momentum models, which had just started dipping their toes back into some trading positions after sitting on the sidelines for a few weeks for risk management purposes. Are you a 100% self-taught trader? Chances are, you've had some support and important influences along the way. And even if you grind it out daily as a lone wolf trader sitting in front of your monitor (or smart device), it can be helpful to have a few "go to" sources for trading ideas. We have many; for example, one of our favorites is the always insightful TraderFeed by Dr. Brett Steenbarger. His site is essentially a trading psychology resource center chock-full of good advice, such as his most recent post: Tough Advice For Aspiring Traders. 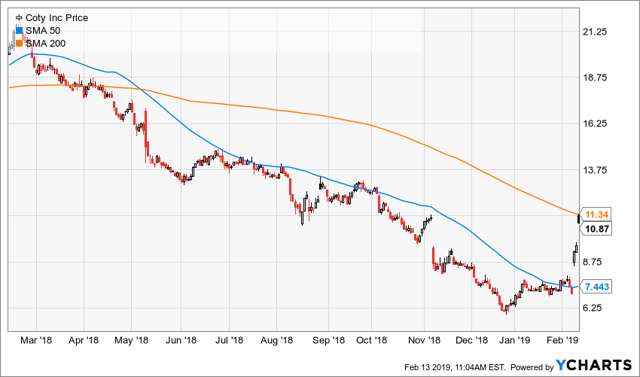 The SMB Training Blog is another fantastic source full of lessons from the trading desk, and so is legendary trader Charles Kirk's private membership The Kirk Report, both of which we have quoted in the past. 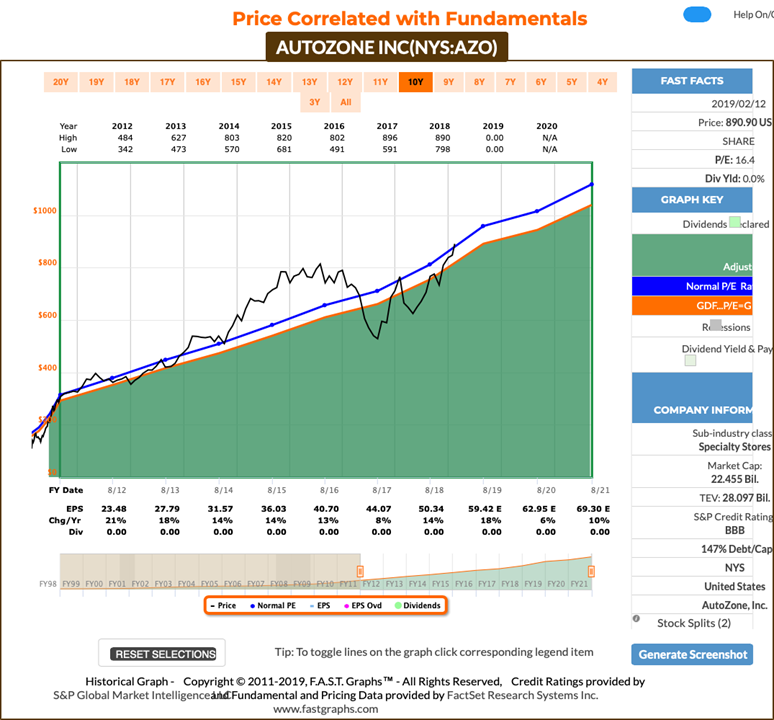 Holmes: I sold my shares of AutoZone (AZO) on Monday. 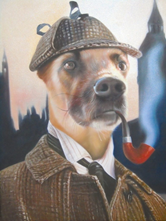 As you know, I am a data-driven trading model, and my specialty is "dip-buying." Blue Harbinger: Not bad, Holmes. I recall you explaining your rationale when you bought the shares back in early January. Looks like this one worked out quite profitably for you. Holmes: It did, thank you. And as you also know, I typically hold for about 6 weeks, so this trade was pretty typical for me. BH: Here is a look at some long-term fundamental metrics for this automotive replacement parts and accessories company, if you are interested. Blue Harbinger: I am a long-term investor, not a shorter-term trader, so I know the difference. Thanks for sharing that perspective. And how about you, Road Runner--any trades to share with us this week? Road Runner: You bet. As you know, just last week I started to dip my toe back into some trades after sitting out for a few weeks because of market conditions. 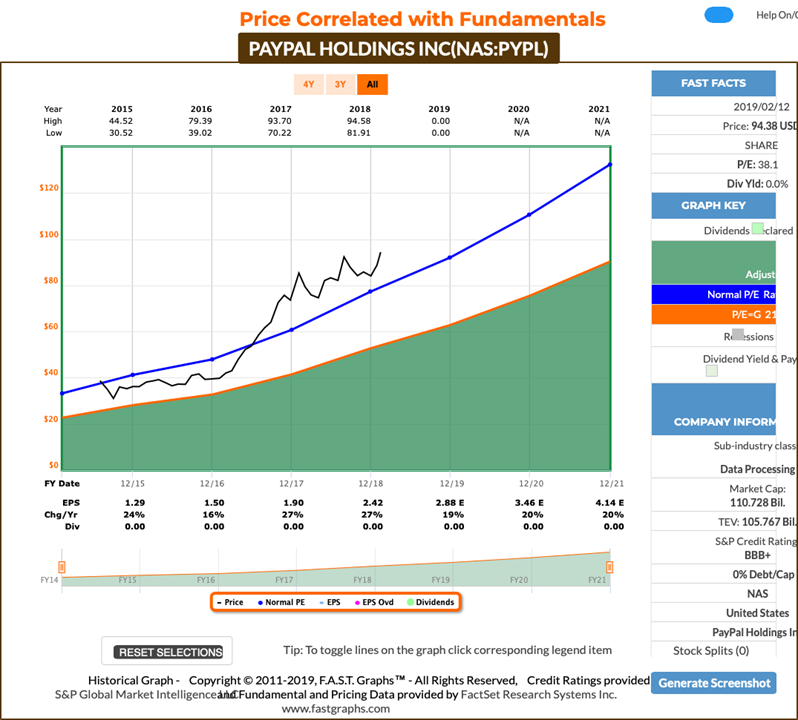 I am a momentum trader, I typically hold for about 4-weeks, and this week I bought shares of PayPal (PYPL). BH: I like PayPal's business because it has such a large (and expanding) total addressable market. It's basically a digital payments processing company, and that's a good place to be with a strong growing economy. However, I've got to admit, I have used PayPal to process payments for multiple online businesses, and there are better, smarter, newer solutions out there. For example, I like a company called Stripe much better than PayPal (because Stripe is simply a better solution). And while we're on the topic of payment processing and FinTech companies, I believe this is a fantastic space. For example, Square (SQ) is a growing powerful behemoth. Also, I like a company headquartered in our home state of Illinois called Paylocity (PCTY) that processes payroll for small and mid-sized companies (I own it, and it's been on fire). Also, here is a look at the Fast Graph for PayPal. Road Runner: Settle down, BH. You're talking about long-term fundamentals, and I am a trader. Again, I typically only hold for about 4 weeks. Anyway, so you have a better idea of my process, I like to buy stocks in the lower end of a rising channel. Here is a look at what I am talking about for PayPal. BH: Okay, Mr Momentum-Based Technical Trading Model. 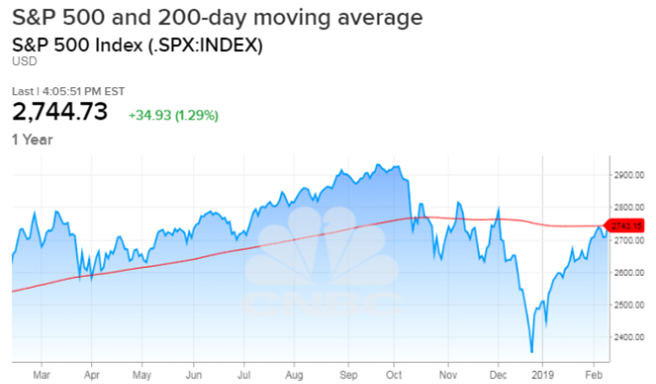 Did you see the S&P 500 finally broke above the closely watched 200-day moving average? That's a big deal to you technical traders, right? Road Runner: It is, but it's a little more complicated than that. Maybe you should stick to the long-term investing for now, BH. BH: I will. But I like to pay attention to technicals too. So thanks for the lesson. Anyway, how about you, Athena--any trades to share this week? Athena: This week I purchased shares of Coty Inc (COTY). This company creates branded beauty products. BH: Interesting trade, Athena. 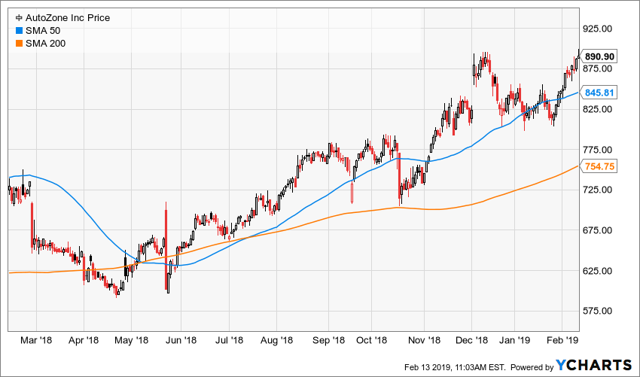 That stock has been on fire in recent trading sessions after a solid earnings beat. 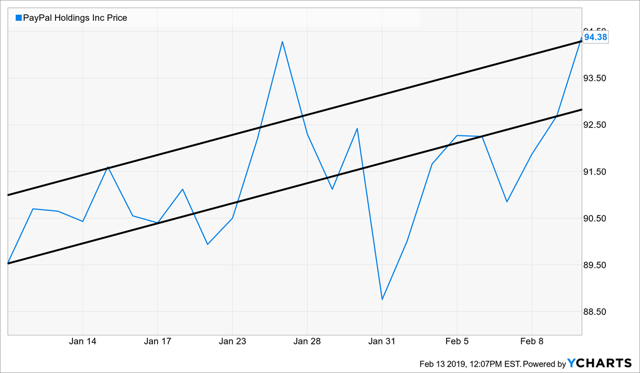 I know you are all "proprietary" about your trading process, but I am starting to get the feeling that when you say you are into momentum, you're really talking about earnings momentum as much as price momentum. Athena: I typically hold for around 16 weeks, and if you'd like more information about my trading process, you can request it using the link at the end of this report. Blue Harbinger: Alrighty then. Thanks. And how about you, Felix--do you have anything to share with us this week. Felix: This week I ran the stocks of the Nasdaq 100 through my technical trading model, and I have ranked the top 20 for you in the following list. As a reminder I am a momentum trader, but I hold for a longer time period than the other models–typically around 66 weeks. BH: I see lots of interesting names on that list; Netflix (NFLX), Skyworks (the chipmaker) and Starbucks (where I happen to be sitting right now) are all interesting. Thanks for being a good source of trading ideas. Oscar: I have some ETF rankings to share. As our resident sector/ETF rotation model, this week I ran our Comprehensive and Diverse ETF universe through my model, and the top 20 are ranked in the following list. With the sheer number of trading information sources available, it's easy to get overwhelmed. Just like it's important to select a trading style that fits your needs, it's also important to do the same with trading information sources. What are a few of your favorite sources for trading ideas? Disclosure: I am/we are long PYPL, COTY. I wrote this article myself, and it expresses my own opinions. I am not receiving compensation for it. I have no business relationship with any company whose stock is mentioned in this article.